On the last Sunday of January, Valls will celebrate “La Calçotada” (barbecued spring onion festival), a promotional day around the “calçot” (spring onion) that will pervade the streets and squares of Valls with remarkable tradition and hurly-burly city life. 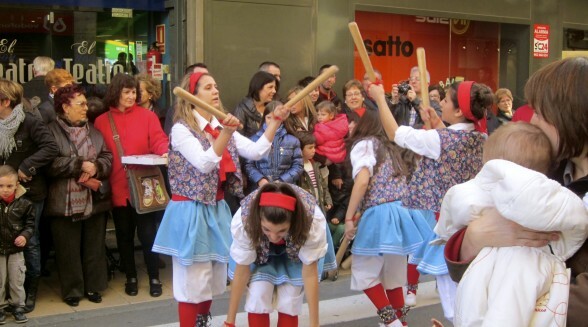 There will be popular acts, such as: passacaglia, grilled calçot cooking demonstrations, contests of “calçots” growers, calçots eating competition, local food tasting, traditional dances and amazing human tower displays. 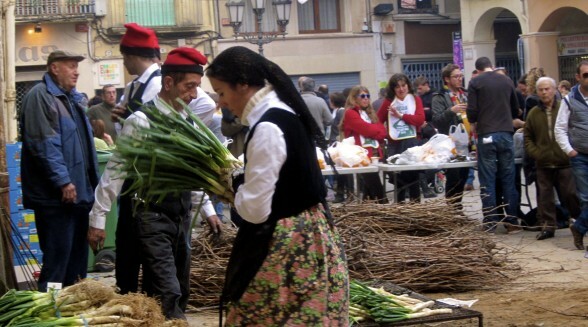 Leave Barcelona in the early morning (8:30am), and travel by air-conditioned minivan to Valls, where you will experience a real “Calçotada” firsthand. You will taste local calçots and get involved in a local festival. 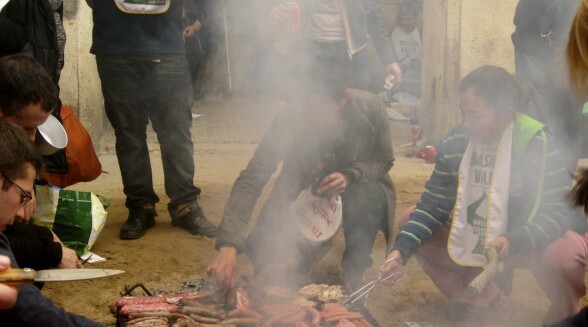 “Calçotada” is the meal based on the “calçot”; and its delicious and unique sauce move crowds of people to Valls between the months of November and April each year. 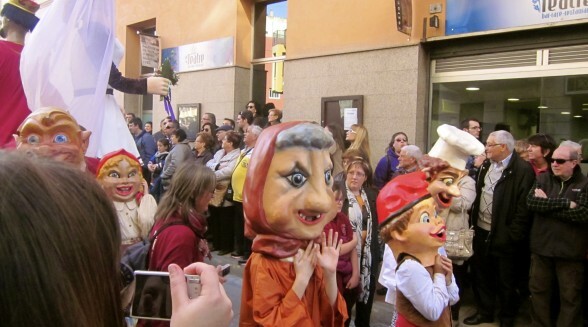 Calçotada in Valls is a deep-rooted event, the most popular and traditional festival in Catalunya in which food is the main theme. 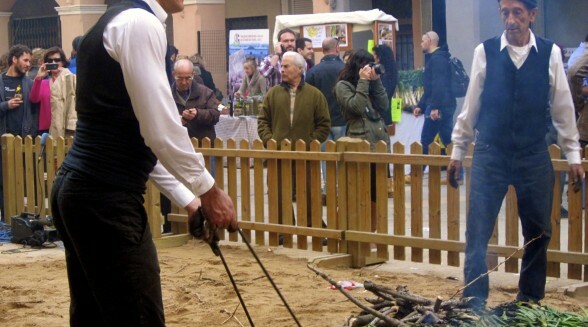 “Calçotades” have been celebrated in Valls for more than hundred years. From the end of the 19th century, the tradition has been inherited by generations in the families from Valls. Because of that, Valls is known as the capital of the “calçot” (spring onion). 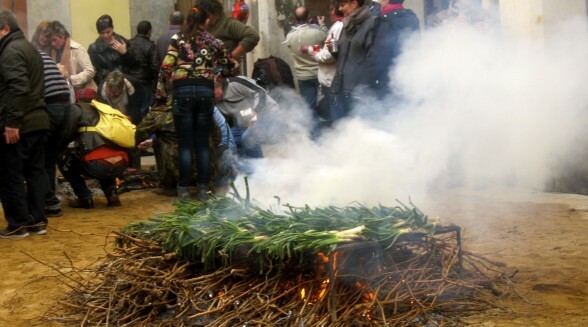 Learn all about this old tradition and watch how calçots are cooked. You may also want to cheer in the famous calçots competition, in which the winner is the person that eats more spring onions. Since January 25th is a special event for Catalans, Human tower builders will be building their best towers in this important occasion. 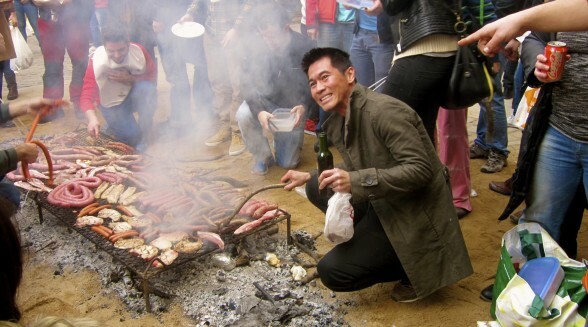 After the Calçots festival…. travel to the wine-growing region of Spain, El Penedès, home to several prestigious vineyards -known locally as “cellers”. Learn all about Cava, a high-quality sparkling wine, as you visit a family owned winery in Spain. Learn how the famous wine and cava (local champagne) are produced, from the first pressing of the grapes to the fermentation in the cellars. After touring the vineyards and cellars, take part in a cava-tasting session, savoring the exquisite notes of the local champagne. You will see exactly why Catalan wine and cava have acquired such international fame. We will arrive to Barcelona at around 5 pm.